Kyoshi from Avatar: The Last Airbender is getting her own YA novel series! In this segment, I discuss our book of the month, An Unkindness of Ghosts by Rivers Solomon. 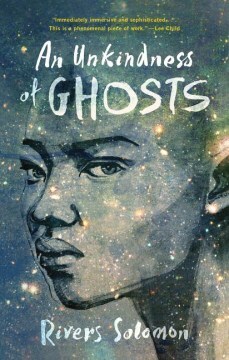 This novel follows Aster, a queer black woman who lives in the lowdeck slums of the HSS Matilda, a space vessel organized much like the antebellum South (or a cruise ship, if you’ve ever been on one). For generations, Matilda has ferried the last of humanity to a mythical Promised Land. On its way, the ship’s leaders have imposed harsh moral restrictions and deep indignities on dark-skinned sharecroppers like Aster. Embroiled in a grudge with a brutal overseer, Aster learns there may be a way to improve her lot—if she’s willing to sow the seeds of civil war. I was fascinated by the worldbuilding in this book, and I couldn’t help but think that the space vessel Matilda was organized much the same way as a cruise ship. The wealthy white folks live in mansions on the upper decks, while the poor workers (mostly of color) live in the depths below the lowest decks. I was so fascinated in fact, that I was left wanting. The author touches on the structure of the ship, and it plays a big role in the plot; however, there are gaps in knowledge about how everything works that left me wanting to know more. The characters in this book are fascinating, and I really appreciate the representation. The book was, overall, very plot driven, though, so just be aware of that. My biggest criticism is that the villain in the book is built up as this “big bad,” however, I was never really afraid of him. There wasn’t quite enough tension there between the villain and the main character (although the author does try) for me to care that much, as this tension is built up mostly through stories of the past that we don’t really get to see, and the villain doesn’t actually show up to start wreaking havoc until ⅔ of the way into the book. The plot, though, was certainly interesting enough to keep me reading, and I was satisfied with how the book ended. I do have to say, though, when I was done, I had a LOT of questions. This is par for the course, though, with debut novels for me. Overall, I did enjoy this book very much, especially the characters and plot. Although the worldbuilding was wonderful, it also left me wanting to know a lot more and wishing the author would write another book in this world. I would definitely recommend it, although fair warning: it *does* get a bit dark at points. Next month, I’ll be discussing We Sold Our Souls by Grady Hendrix. In this supernatural thriller, the washed-up guitarist of a ‘90s heavy metal band embarks on an epic road-trip across America and deep into the web of a sinister conspiracy. You can order We Sold Our Souls here to be shipped directly to your home! If you decide to read it with me, please go to our Goodreads discussion group and let me know your thoughts in the thread. I may feature them on the podcast next month! Remember that you can order any book discussed or mentioned on our podcast by filling out our Special Order form, by searching for them in our online store, or by calling or stopping by the store. 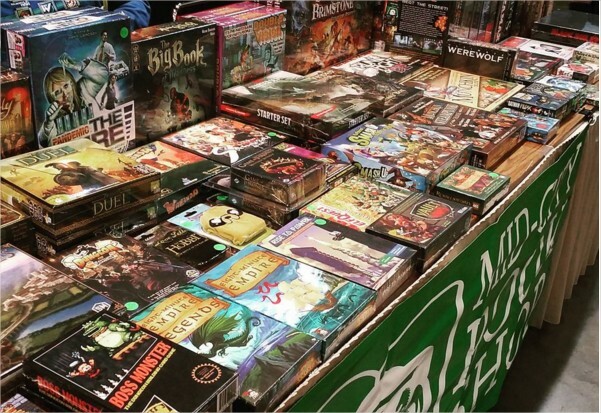 Check out these games at our rotating Mid-City game night! Our game night is held every week and rotates to different locations. The first Tuesday of the month, we’re at 504 Craft Beer Company; the second Thursday of the month, we’re at Second Line Brewing; the third Tuesday of the month, we’re at Monkey Monkey Coffee & Tea; and the fourth Tuesday of the month, we’re at Tubby & Coo’s. Visit the events section of our website for more information. Also, join our new Facebook group for gamers in New Orleans to keep up with all the local gaming events (not just ours!). For this month’s interview segment, I welcome Grady Hendrix. Grady is the author of Horrorstör, the only novel about a haunted Scandinavian furniture store you’ll ever need. His last novel was My Best Friend’s Exorcism, about demonic possession, friendship, exorcism, and the Eighties. We’re actually reading My Best Friend’s Exorcism for both our SFF and Not-So-YA book clubs as our November selection. Grady also wrote Paperbacks from Hell, a history of the horror paperback boom in the Seventies and Eighties that followed the success of Rosemary’s Baby and The Exorcist. It is so popular it won a Stoker Award, and while you may not know what that is, trust me when I say that it is a big deal. 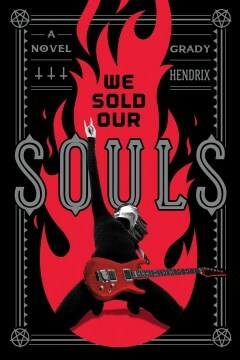 Grady’s next novel is We Sold Our Souls, a heavy metal take on the Faust legend, hitting bookstores on September 18. Visit Grady’s website to learn more about him and his work. Join me again next month for more book industry news, my book of the month discussion of We Sold Our Souls by Grady Hendrix, and more! Remember that you can order any book discussed or mentioned on our podcast by filling out our Special Order form, by visiting our online store, or by calling or stopping by the store. You can also find the bookstore on Facebook, Twitter, and Instagram @tubbyandcoos. And you can find us in our Goodreads discussion group and in our Facebook group for board gamers. Tell us what you’re reading and playing, we’d love to discuss with you! Again, the music you heard in this podcast is “Brave” by Jonathan Coulton, off his newest album, Solid State. 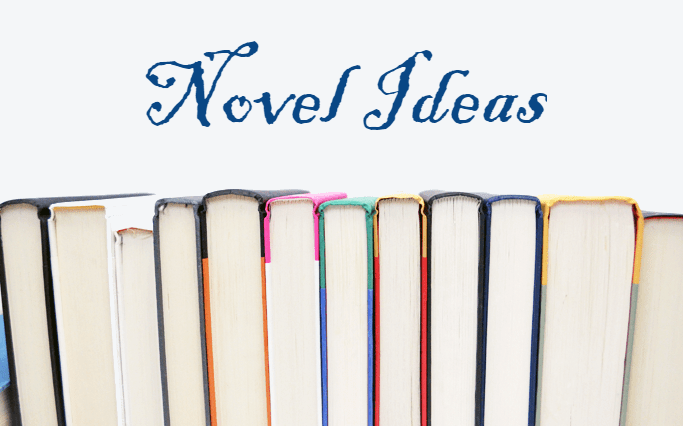 Novel Ideas is a podcast in partnership with WRBH Reading Radio, 88.3 FM New Orleans. WRBH is the nation’s only full-time FM reading radio service and is one of only three such stations in the world.